Ali Velshi is a television personality of Canada and presenter of the popular show ‘Real Money with Ali Velshi’. This biography provides detailed information about his childhood, life, achievements, works and timeline. 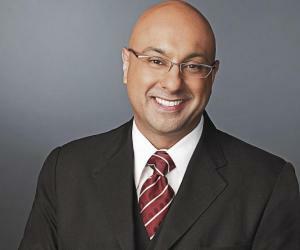 Ali Velshi was born on 29th October 1969, to Murad Velshi and Mila. Though he was born in Nairobi, Ali was brought up in Toronto. The lad received his primary education from the ‘Northern Secondary School’ located in Toronto, he was also chosen as the school president while studying here. Later, he went on to pursue his graduation in religious studies at ‘Queen’s University’, Ontario, which he completed in the year 1994. In the year 1996, Ali got an opportunity to work with the ‘United States Congress’, which was given to him by the ‘American Political Science Association’. As a fellow of this association, he got acquainted with the Democratic Representative of Indiana, Lee H. Hamilton. Velshi’s career started when he joined the ‘CFTO’ channel in Toronto as a General Assignment Reporter. 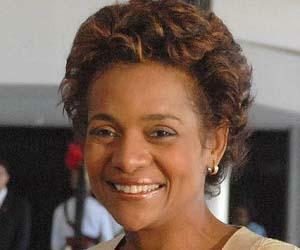 He, then, joined the channels ‘CablePlus 24 and ‘CityTV’, where he worked as a business reporter and host. In 1999, he started working for a Canadian business channel named ‘Report on Business Television’ (now known as BNN-Business News Network). He travelled to the United States in the year 2001, and started working with the channel ‘CNNfn’, based in New York City. This reporter remained engaged with the channel, until it shut down. 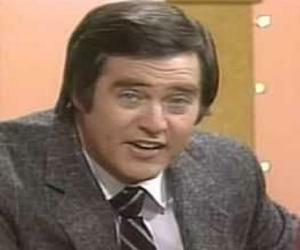 Subsequently, he started working for the ‘CNN’ network as a host and reporter in the morning show ‘Daybreak’. 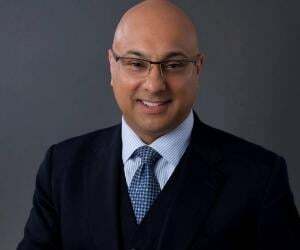 In 2005, Velshi became the presenter of a reality show named ‘The Turnaround’ and later he worked for the show ‘The Situation Room’. He started working for the show ‘American Morning’ in the year 2006, as a business correspondent. In 2008, the reporter travelled in the ‘CNN Election Express’ bus from Myrtle Beach, South Carolina to Los Angeles, California and talked to other fellow Americans about various monetary matters concerning the society. During the same time, he was appointed the anchor of the show ‘Energy Hunt’ of ‘CNN’ and visited places such as the Oil Sands of Canada and the Arctic National Wildlife Refuge. The same year, many unfortunate happenings like the bombing of the ‘Marriott Hotel’ in Islamabad and the striking of the destructive hurricane ‘Gustav’, were covered by Velshi, which made him a known face to the common man. The ‘Global financial crisis’ which occurred during the year 2008 was also addressed by him in the shows ‘American Morning’ and Anderson Cooper 360°. He was also seen at ‘The Oprah Winfrey Show’ during this crisis, apart from his own shows. The reporter was chosen to be the co-host of the show ‘American Morning’ in the year 2011. In 2012, a hurricane named ‘Sandy’ broke out in the Atlantic and Velshi presented live reports about it. He then left ‘CNN’ and started working for the newly launched television channel ‘Al Jazeera America’, in 2013. Here he is the anchor of the show titled ‘Real Money with Ali Velshi’. He is also engaged in writing columns for magazines such as ‘Money Magazine’ and Delta Sky’. This dedicated reporter has fervently reported some tragic and disastrous incidents like the reporting of hurricanes such as ‘Gustav’ and ‘Sandy’, and even the horrific ‘Marriott Hotel’ bombing incident. He even visited these sites, in order to give the common man the best possible insight of what exactly happened. Velshi was honoured with the ‘Queen's University Alumni Achievement Award’ in the year 2010. The same year, one of his shows for the channel ‘CNN’ got nominated for the prestigious ‘Emmy Award’. he was also felicitated with the ‘National Headliner Award for Business & Consumer Reporting’ award. It is believed that the reporter was married for the first time at the age of twenty, and later the couple got separated later. However, much detail is not available regarding this ceremony. In 2009, he married a woman named Lori Wachs and this was his second marriage. Lori was the president of Philadelphia-based ‘Cross Ledge Investments’ and the two encountered each other at one of Ali’s shows. He authored his first book ‘Gimme My Money Back: Your Guide to Beating the Financial Crisis’, which appeared in the year 2009. His second book titled ‘How to Speak Money: The Language & Knowledge You Need Now’ was published in 2011, and one of his co-host Christine Romans was the co-author of this book.